I know. It sounds absurd, crazy and even insane to think of such a thing. But, fundamentally Ibrahim (A.S) was asked to do this. To sacrifice his son. His much loved, and eagerly awaited offspring. Often times when the story of Ibrahim (A.S) is told and retold, we miss a very subtle point which I believe is of profound importance in our times. Out of the labyrinth of messages and lessons we can get from the widely known story. The command to sacrifice his son brings out the idea of ‘wilful submission’. It shows us, despite what we think of the commands of Allah, we should put aside our logic and submit to him. For instance, to be told to sacrifice your son defies all logic, so it would seem. ‘What good would it do to sacrifice your own son? What common sense would say to do such a thing?’ We would have said. Because, according to our limited and defective mind. It is madness to even think this. Regardless of this, Ibrahim (A.S) went ahead and tried to complete the task at hand. 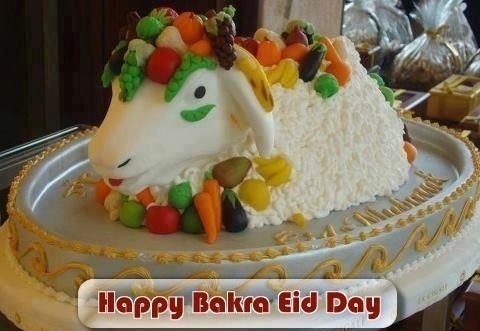 Only to be told to stop at the last minute and instead sacrifice a lamb in Ismail’s (A.S) place. In our modern times we place our logic before the command of Allah. We try to rationalise, and see if it “fits” in with our logic and only then are we willing to accept it as a divine command. If it is otherwise, then our logic is given the upper hand. At times, like the command Ibrahim (A.S) received. WE may not be able to make sense of the wisdom behind a command of Allah. Seemingly, to us, some commands of God may in fact seem “insane”. But, nonetheless we should put aside our ‘ideals’ and embrace that of the divine. If Allah was to highlight the “rationale” behind his commands. With our puny minds, we still would not be able to understand. This is clearly demonstrated to us by science. One scientific fact which is held in high regards one day, is later seen as false a couple of days later. Science is always subtracting and retracting its statements of our world. It cannot yet completely explain the functions of the universe, let alone the divine. – How can we try and equate our ‘rationale’ with the divine? Today, what we usually take as being “archaic and irrational commands” of a distant God falls flat on its face! As humans, anything we find hard to understand, gets easily labeled as barbaric and ancient. Something which needs to be changed, in order to ‘compliment’ our advanced “intellectual” abilities of morality, civil obedience, social interactions and trading standards. Likewise, all the talk of modernisation, the need to change, adapt and stabilise the understanding of God’s religion according to modern time is unrealistic. There are many commands of Allah which we can never understand using our short and limited minds. It is sensible to think and even try and read the meanings of God’s commands given to us by those in authority. However, where they have stayed silent and simply accepted the commands of God. We should too, without trying to “out-smarten” our pious predecessors into formulating new meanings.